HERE is my column from last weekend. I’m not sure I’ll ever be very welcome at Colombo airport again. 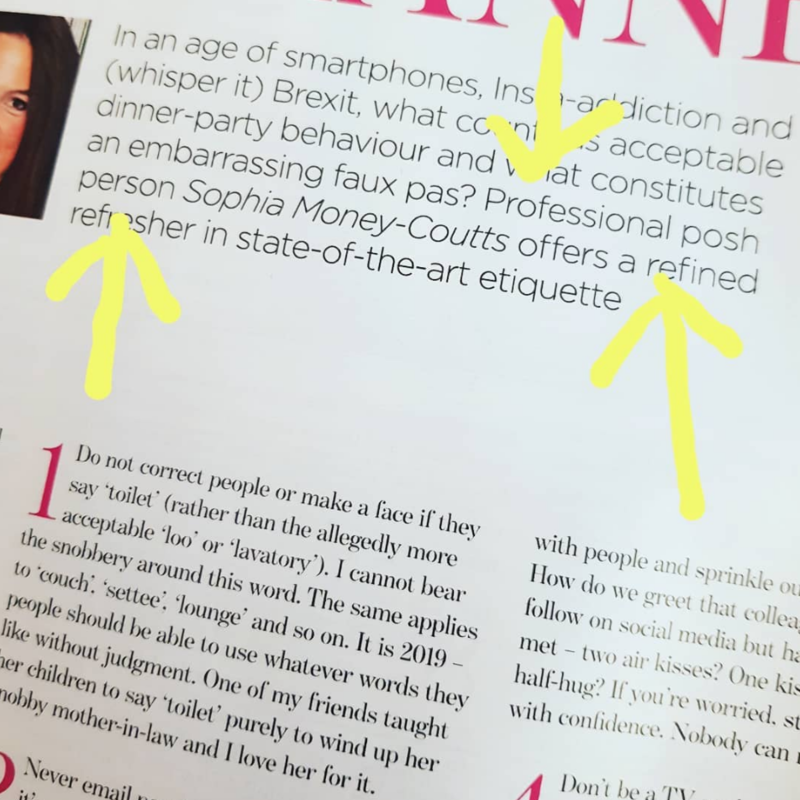 And HERE is a piece about manners I wrote for You magazine on Sunday in my role as professional posh person. I have had **many** messages about the toilet issue and my answer to everyone has been: get over it, you freaks. It’s a word. Apologies to anyone who heard me on talkRadio discussing the manners piece on Sunday morning. I’m sleeping exceptionally badly atm, so took half a sleeping pill at 7.30am and woke, groggily, three hours later to an email saying could I chat to them on air that morning? The station called me shortly after that and I mumbled my way through the interview, dispensing advice about shaking hands and mobile phone use, but now I can’t totally remember what I said. I hope it was all legal advice, anyway.